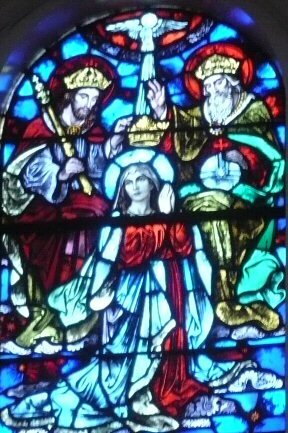 Queen of All Saints . . .
Those who strive to increase in God's love choose to follow the promptings of the Holy Spirit. 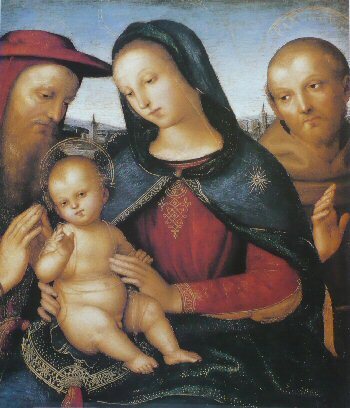 The third divine person of the Holy Trinity reflects the infinite love of the Father for the Son and the Son for the Father. 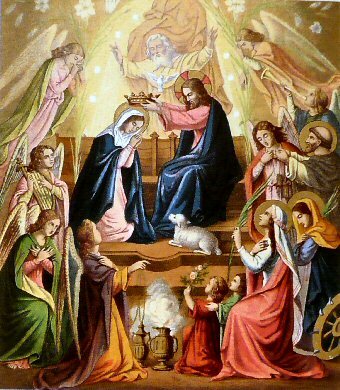 It was by the desire and prayers of Mary, the Holy Spirit enlightened the minds of the first apostles at Pentecost. Strengthened in the convictions of their mission they journeyed out to tell others the "Good News" of salvation. Saints enjoy the eternal presence and love of God in heaven, who for his loving reasons, allows His Church to hold up particular persons as examples of cooperation with His love. 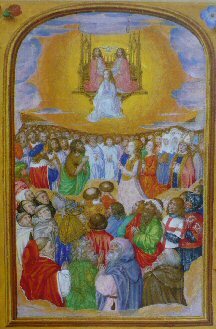 These, and all the other holy men and women who have lived from all time become a, "cloud of witnesses," who intercede to God on our behalf. 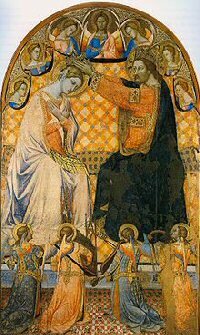 Because Mary holds the highest honored position among those in God's favor by her position as the Mother of God, she is the closest to God among his friends. She can truly be said to be, "Our tainted nature's solitary boast."